It's not always easy to be young, but to be a young Christian is even more challenging. Russia has a very strong Christian foundation and traditions, but even here you can feel the influence of the Western movement of freedom, capitalism, feminism, and the “live like there is no tomorrow” attitude. It is this especially that affects the new generation irreversibly getting lost in their iPhones. 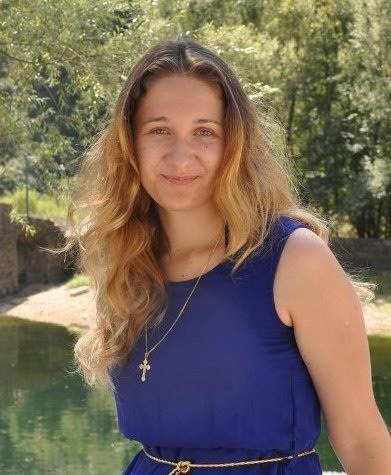 I am a twenty one years old Russian, I live in Moscow, and I am Orthodox Christian. And I can strongly feel how these trends affect my friends and I. So, is there a way to be young AND Christian? Last weekend, thanks to the advice of my good friend, I attended the 4th annual cultural and sports festival “Orthodoxy and Sport”. The event was organized mostly for the young Christian community by the movement “Sorok Sorokov” (Forty Times Forty). The movement was started 3 years ago by two young Christian guys: Vladimir Nosov, a boxing champion of Russia and Europe, and Andrei Kormukhin, musician, social activist, and a devoted family man with 9 children. 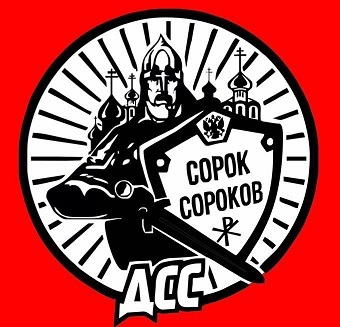 The main goals of the movement are rather simple: protection of the Russian Orthodox Church, protection of the rights and freedoms of Orthodox Christians, and protection of traditional Orthodox values. “I never wanted to be like the heroes from the American action movies. I don’t like where our young people are looking. This is the wrong way to go. There are real, non-fictional heroes such as Alexander Nevsky, Dmitry Donskoy, Peresvet. 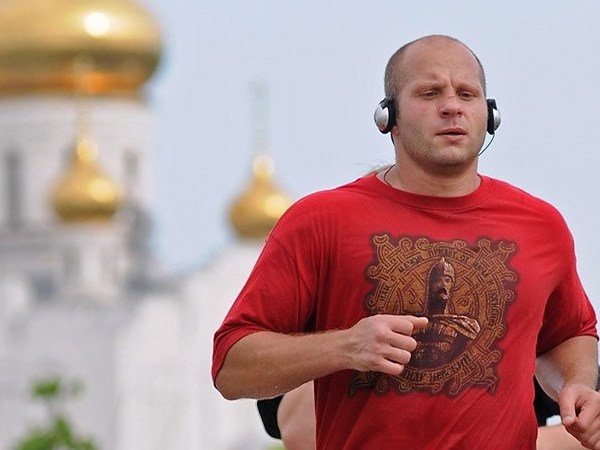 These are great warriors, the ones to look up to.” - Fedor Emelianenko, Russian Heavyweight Champion. Fedor Emelianenko is a big fan and supporter of "Sorok Sorokov"
The logo of movement "Sorok Sorokov"
Deconstructing myths about Orthodoxy as a religion of the weak, which, allegedly, ideologically exhausted itself and attracts nobody, except for “the grandmas in headscarves and the exalted part of society”. In 2014, the event called “Sorochinsky meetings” started. These meetings collect prominent representatives of the clergy, as well as well-known scholars, athletes, artists and cultural figures. In a short time, "Sorochinsky meetings" have become very popular among young people. In 2015, “Sorok Sorokov” formed its own Sisterhood. Today, there are about 10,000 multinational members. Various projects of the movement include humanitarian help to inhabitants of Donbass, social work with orphanages, homeless, prisoners, and organization of sports events. The festival that I attended took place on the 17th of September in the park Kolomenskoye. The main part of the festival was the Marathon in celebration of the 180th anniversary of the birth of St. Nicholas of Japan Equal to the Apostles. Its purpose was to show that Orthodox young people keep in step with time, offering society a new form of leisure. The Marathon started next to the Church of the Ascension after a prayer read by Bishop Gury. This is a TV report from the same festival from 2014. It gives an idea of the atmosphere of the movement its participants. The movement is supported by many famous Russian sports stars. Despite the overcast weather, the atmosphere of this place - the nature, the architecture, bells chiming, smiling faces, and views of the Moscow River - produced the most blissful experience. Thousands of Muscovites came to the festival. The sportiest 500 people came in advance to register and participate in the race. The longest distance was 42 kilometers long. The winners were awarded on stage. There were a lot of very interesting and useful activities. Reenactors of Ancient Russia showed the visitors their art and taught children historical fencing and archery. There also were the Cossack and Russian folk sports games for everyone. Young boys were competing in boxing and martial arts. World-famous athletes - Olympic champions of Rio 2016 - shared their skills with the young sportsmen. I was also very pleased to see there various charity organizations giving out free Christian literature, icons, and homemade souvenirs. They even had hot tea and pastries for the visitors of the festival! One thing I learned is that being young and enjoying your life is not a sin, neither is playing football – as long as you live with God and care about people around you. On the way home, I thought to myself: “Wow, so I am not alone!” Thank God such organizations exist where young people of the same faith and values can unite.